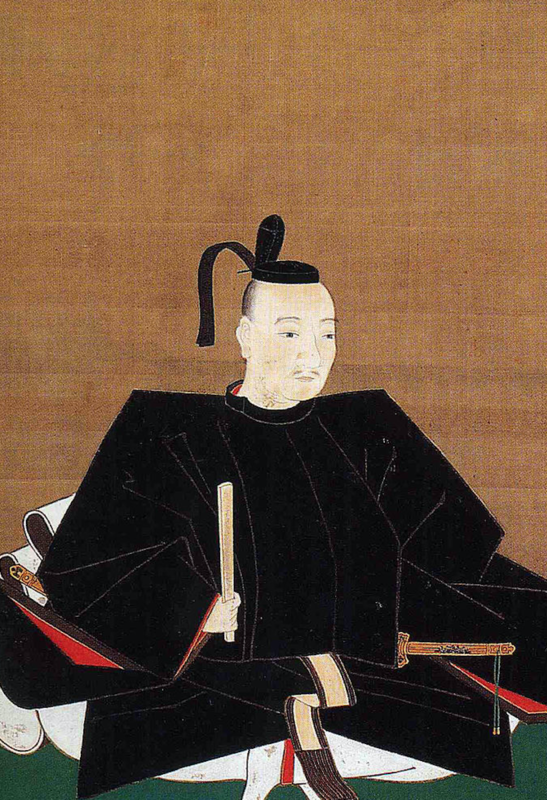 Kutsuki Mototsuna was a daimyo, born in his namesake Kitsukidani Castle in Omi Province (Shiga Prefecture) in 1549. 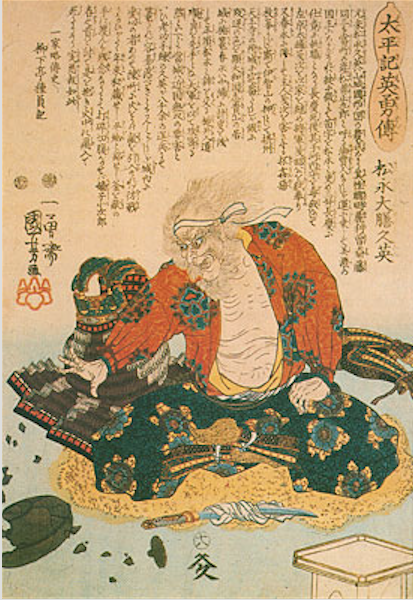 Mototsuna lost his father to war when he was two, and from then on was head of his clan. 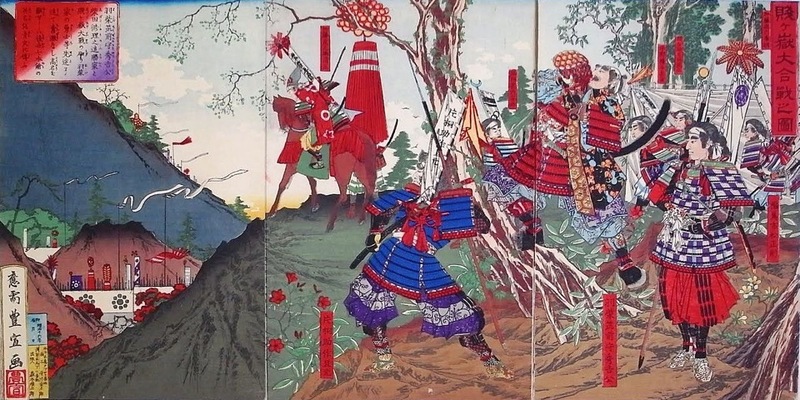 Mototsuna served the Ashikaga Shogunate at first, and from the age of 21 assisted Oda Nobunaga in an attack on his neighboring Asakura clan. 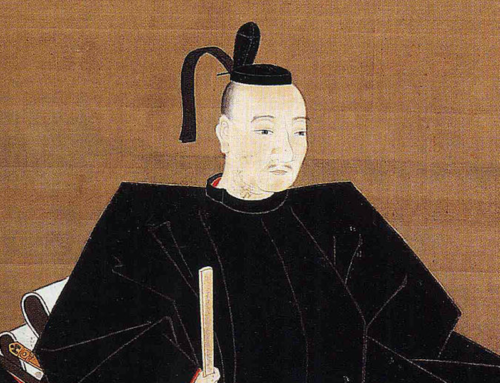 Like many of his contemporaries, Kutsuki joined the Toyotomi forces on the death of Nobunaga in 1582. 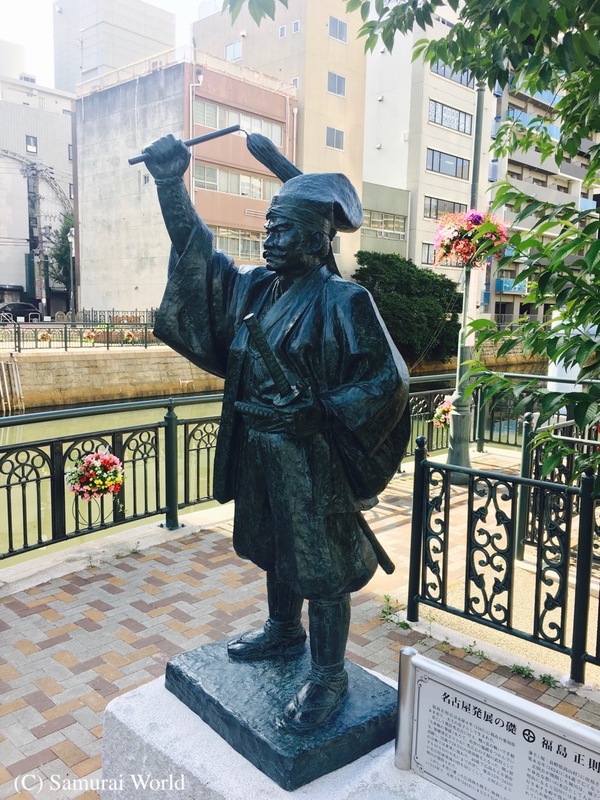 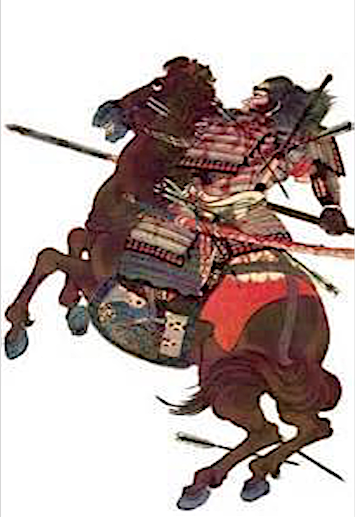 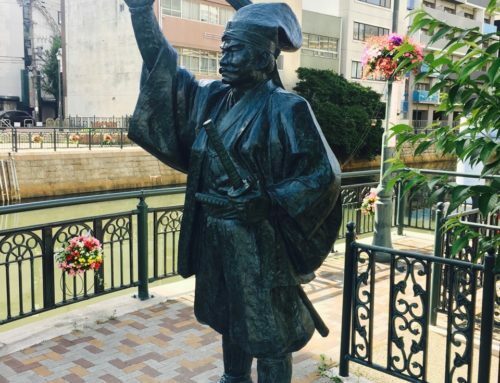 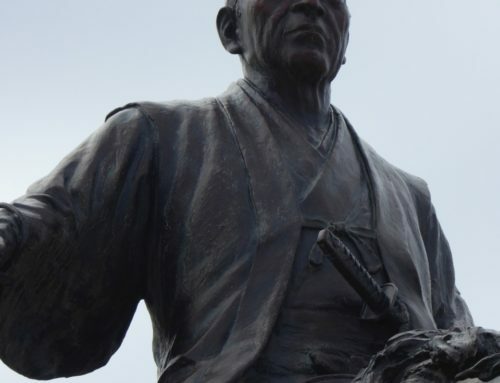 In 1600, he was allied initially with the Western sided Otani Yoshitsugu’s forces, but during the course of the battle, sat the first half out, waiting for the word from Kobayawa Hideaki as to when to enter. 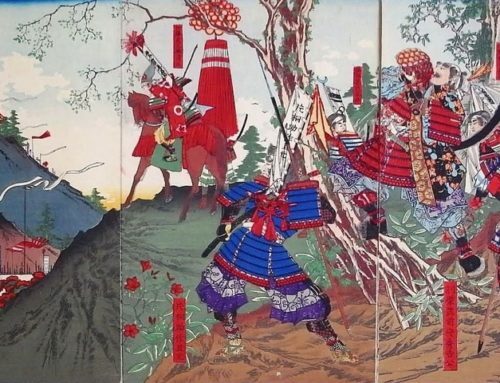 When Kutsuki finally did join the fight alongside the Kobayakawa, Wakisaka, Ogawa and Akaza clans, he was fighting for the Eastern forces under Tokugawa colors, and attacked the Otani, their original allies, first. 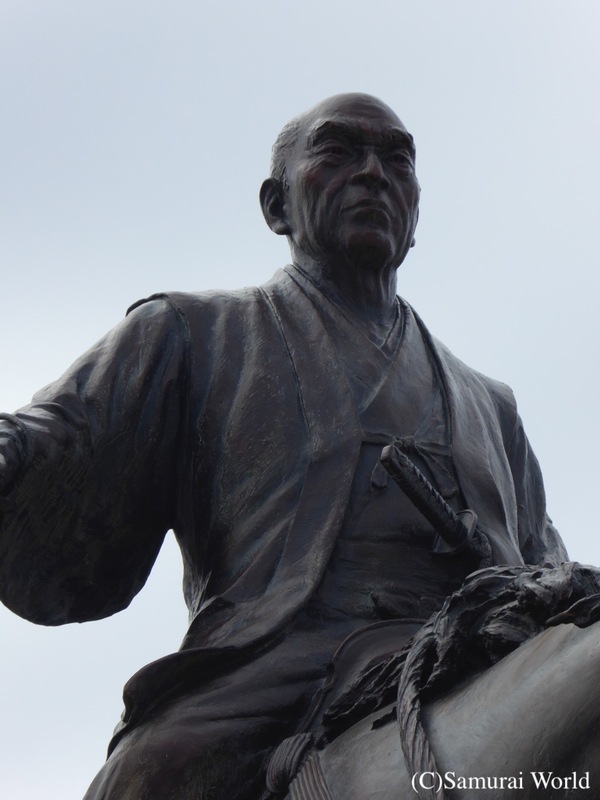 His family was spared and he retained his lands after the great battle for his services to Ieyasu. 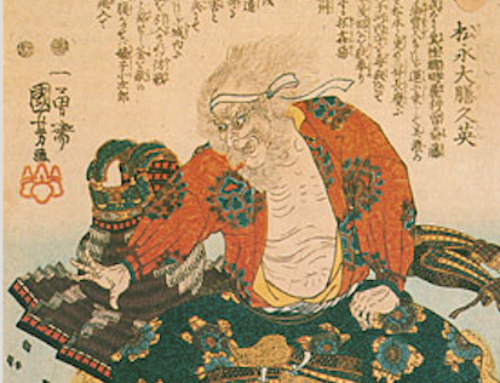 He died aged 83 on October 12, 1632.